A billboard of desert sand. 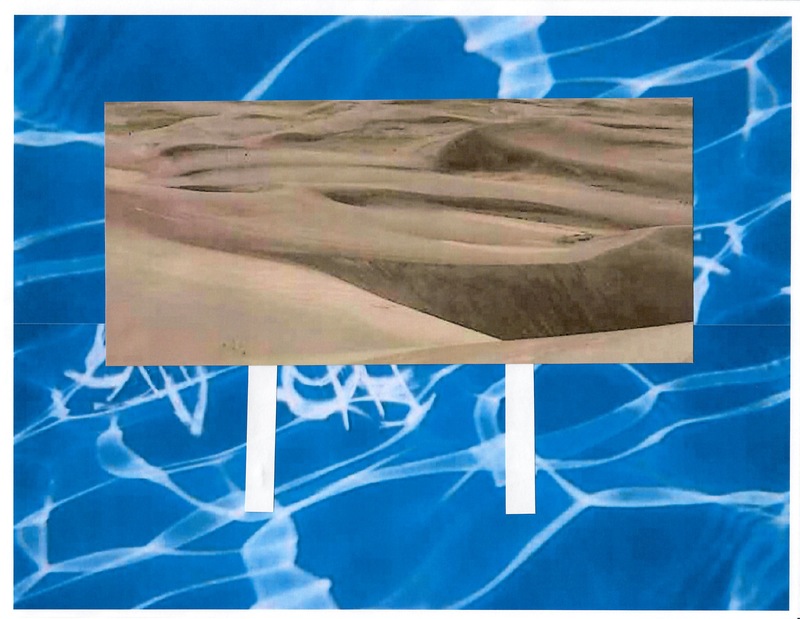 The sand sign (by S.H.R., mixed media, laser print images) was inspired by Q4683 37.764275 -105.88199 An interesting billboard in the middle of nowhere. It has no words just an image of what looks like water.